Do you feel awkward when everyone around you at a party is expertly swirling their wine? Are you overwhelmed when you visit a winery’s tasting room? You’re not the only one. Although wine can seem like an intimidating subject, it’s not difficult to improve your wine know-how in just a few easy steps. Wine tasting is really a misnomer. Think of it more as a sensory experience that involves your sight, smell, touch and taste. Hearing is involved, too. After all, what’s more enticing than the sound of a cork softly popping from the bottle, or the subtle song made by bubbles in a glass of Champagne? Come with me on a crash course on The Five S’s of Tasting. The first step is to look at the wine. Hold up your glass for a preliminary view. A good wine should be clear. If it has a cloudy cast or anything floating around in it (other than the cork crumbs your slightly inebriated host dropped into the bottle), then it’s considered flawed. Tilt your glass over a white background to observe the color. White wines can range from almost colorless to shades of pale yellow to gold. A young white wine may have a slight green tint, while older wines brown with age. Red wines run from deep purple to reddish brown. Younger vintages are typically more purple. Older wines fall into more of the reddish, brownish spectrum. 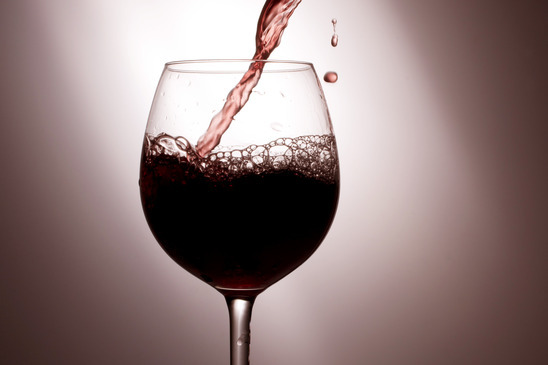 Although swirling your wine may seem a bit pompous, there are several valid reasons to do so. This action exposes more of the liquid’s surface to the air, releasing aromas. It wakes up all those scent molecules that have been sleeping in the bottle. Swirling also releases the wine’s alcohol to the rest of your wine glass, carrying those aromas along with it. Many people look at the legs or tears that form on the inside of the glass, caused by the sheeting action of the wine as it returns to the bottom of the bowl. Legs are not an indication of quality, but they can tell you a little bit about the wine. 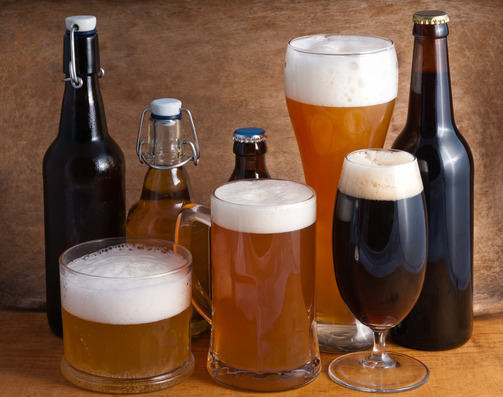 The viscosity, or the thickness of the tears, can give you a sense of the alcohol and sugar content. If the sheeting action is light and moves quickly, the wine has a low alcohol content. If the tears are slow to form and move down the sides of the glass, the wine probably has higher alcohol or sugar content. Here’s an easy trick if you’re worried you may end up with more wine on the floor than in your glass: Place your glass on a flat surface and put your fingers on the top of the base. Now, draw little circles on that flat surface. The wine will swirl around inside the bowl of the glass and you won’t have to worry about embarrassing messes. Some 85 percent of tasting is actually done through our sense of smell. Science has shown that odors trigger the part of our brain associated with memory. Place your nose over the glass and take a deep whiff. Let your mind wander and your brain access your wonderful “scent memory database.” What can you detect? All wines should smell clean — in other words, you want to experience pleasant aromas, not flaws. You may be reminded of fruits, flowers, vegetables, nuts, chocolate, tobacco, honey, caramel, smoke, meats, spices, earth or minerals. You may have heard of the terms New World and Old World when describing wines. New World pertains to any region outside of the traditional wine regions in Europe. New World wines generally tend to be more fruit forward, meaning a fruit-driven bouquet may jump out of the glass when you first sniff it. Old World wines have more subtle and complex scents. Now it’s finally time to taste your wine. Is the wine dry, sweet or somewhere in between? Do you detect a sugary or fruity flavor? Do you pick up other flavors? What is the body of the wine? Is it light and refreshing? Does it coat your palate? Is it smooth and silky or crisp and mouth watering? If you’re tasting red wine, what are the sensations you get from the tannins? Tannin is perceived as the drying sensation around your gums and the side of your mouth. After you swallow the wine, you’ll experience what is called the finish. This is a good indication of the quality of the wine. If it is an inferior wine, the finish will be short, meaning that there is not much, if any, lingering flavor on the palate. A good wine will have a long finish. You should be able to enjoy the flavors and scents of the wine long after it is technically out of your palate. Congratulations! Now you can taste wine with confidence. Cheers! 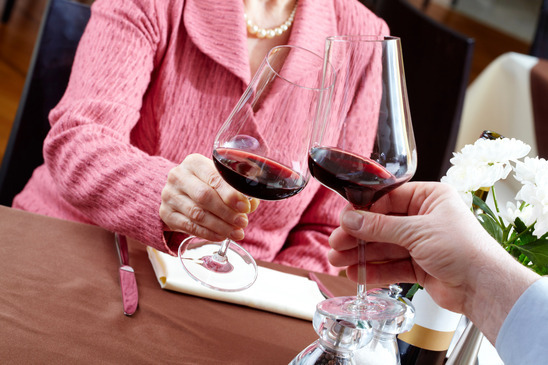 Do you have any tips for tasting wine like a pro? About the author: Hilarie Larson is a Certified Specialist of Wine and Wine Educator who loves to write and teach about wine in all its many facets. She received the “2013 Emerging Writer Scholarship Award” from the International Food, Wine and Travel Writers Association. Visit Northwinds Wine Consulting to learn more about bringing the enjoyment of wine to your private or corporate event. Sniff with your mouth open. Back of the tongue will sense the wine. Try it both ways mouth open and mouth closed you will be amazed at the difference. great tips. i’m just starting wine tasting and am looking for advice. very helpful post. thanks for sharing! It’s good to know how to taste wine. I like how you said that there are actual reasons to swirl the wine. My wife and I are hoping to go on a wine tasting tour soon, so I’ll have to remember these tips.